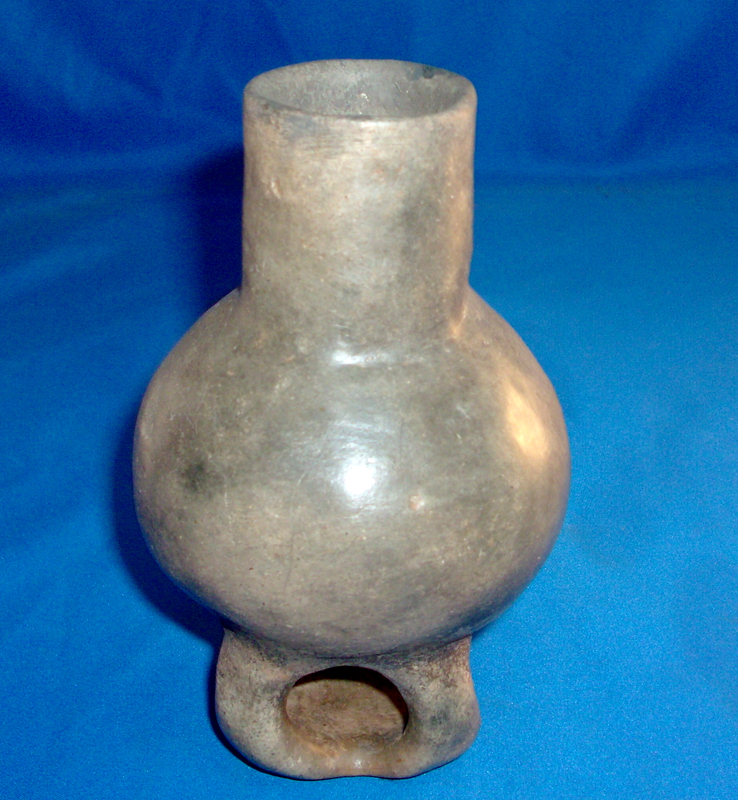 A Small, Rare, Well Made, Pedestal Base Caddo Waterbottle That Exhibits Surface Sheen And Clay Coloration Patination, Aged Open Pit Firing And Firemarking, Visible Aged Surface Grog Deterioration, Correct Material And Manufacture For The Area Found. Pictured In "Art Of The Ancient Caddo" Page 70, Fig. # 132 And 132a. Ex-Dr. Kent Westbrook, Sam Johnson And Jack Bonds Collections. This Caddo Waterbottle Is Broken And Restored, Sitting On A Flat Four Legged Pedestal Base! Includes A Ken Partain Certificate Of Authenticity!